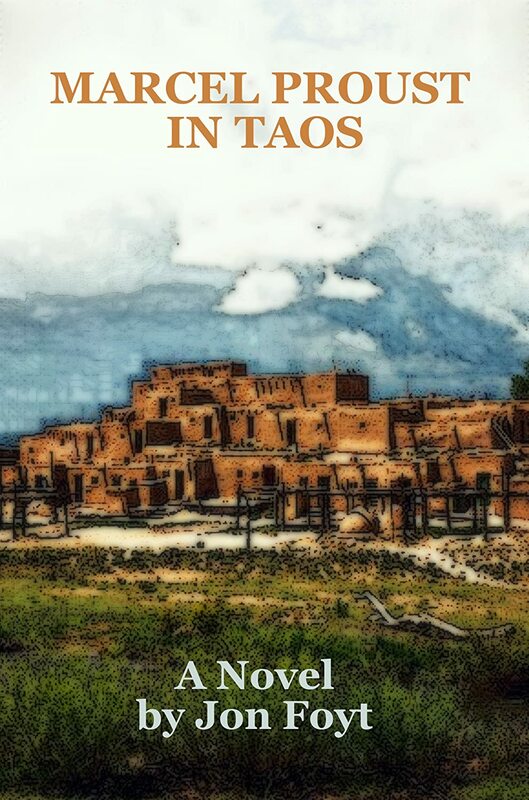 A Los Alamos physicist, Christopher, retires to Taos, New Mexico to write a novel about nuclear terrorism. There he meets aspiring artist Marlene, and the two fall in love. Together they open a microbrewery and find themselves confronting terrorism of a new sort—in unmapped emotional territory. Jon: I’m 81 years old and active in a large (10,000 population) adult retirement community in Northern California. I have a degree in Journalism and an MBA from Stanford University, with an MHP from the University of Georgia, am a widower with 8 grandchildren, and have completed 60 marathons. Jon: I began writing in 1990 after the inspiration from a master’s degree in Historic Preservation at the University of Georgia. Jon: Fiction is sort of like jazz—it flows with fresh thoughts and ideas as you and the characters play along. I write mostly in the early morning and then right after a run, which for me is a right brain stimulus. Jon: Marcel Proust in Taos is a thought-provoking romance between a retired Los Alamos Nuclear Physicist and an immigrant German artist who fall in love in Taos, New Mexico. They open a microbrewery as he writes a novel within the novel about the threat of nuclear terrorism. Jon: Having lived 16 years in the Land of Enchantment, ideas came often to me based on the environment and the magic of the place. Jon: I think the Landscape of Time is a fun and historically interesting novel about the origins of the Erie Canal in Upstate New York in 1808. Jon: Christopher in Marcel Proust in Taos is my favorite because of his advanced age (into retirement) and his concerns about the safety of the planet and its people. Jon: The biggest challenge is to be true to the characters. Tricia: What would you like to tell us about your book or your writing that someone wouldn’t discover during a casual review of your blurb or website? Jon: Writing is hard work and a novel is never really complete, as you always think of another way for the characters to say something or express ideas, or for your own narration as a writer. Jon: To convey thoughts, information, and concepts, as well as to introduce the reader to the characters. Jon: A searching novel, Time To Retire, about life in an active adult retirement community. Jon: Write your ideas, then re-write, then edit, and then polish. Go with the words and their true meaning. Striving for new heights on the literary landscape, following careers in radio, commercial banking, and real estate, Jon Foyt began writing novels with his late wife, Lois. He holds a degree in journalism and an MBA from Stanford and a second masters in Historic Preservation from the University of Georgia. A marathon runner (60 completed) and prostate cancer survivor, Jon was born when Herbert Hoover was in the White House and is active in an adult retirement community near San Francisco.